BRUSSELS -- Automakers are discovering there are limits when it comes to influencing European Union climate policy. A decade after the EU crafted its first caps on carbon dioxide from autos by heeding manufacturers' calls to go easy, the bloc will likely ignore similar pleas regarding the next set of proposed reduction targets. Slated for 2025 and 2030, these limits will be discussed by EU environment ministers on Oct. 9 amid growing momentum to be more ambitious. 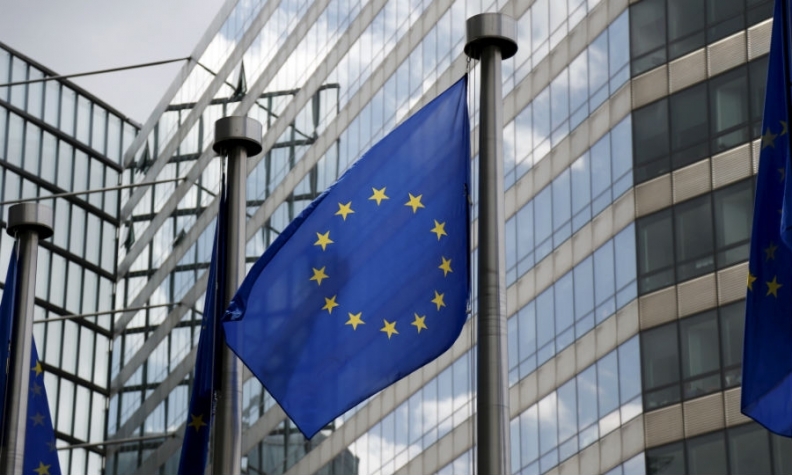 "Politically in the EU the stance is hardening toward the need for action on climate protection," said Raphael Danglade, program executive for energy and climate at the Friends of Europe think tank in Brussels. Europe is anticipating a technological revolution in road transport that would drive the traditional internal combustion engine from showrooms into museums, a vision held by Tesla CEO Elon Musk. The EU goal is to retain a leadership position along with China and the U.S. in the worldwide market for passenger cars. 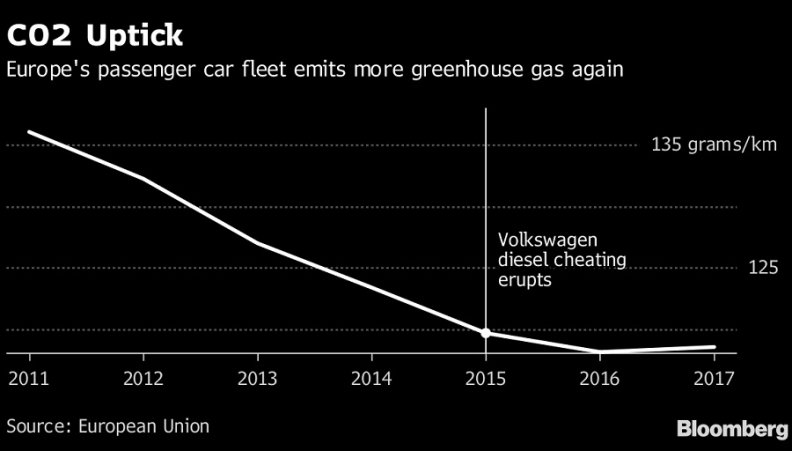 About 15 million autos are sold each year in the EU, with cars accounting for more than 1/10 of the bloc’s releases of CO2, the main greenhouse gas blamed for rising global temperatures. Electric vehicles in Europe have a market share of around 1.5 percent. At issue are the size of the next mandatory CO2 cuts for autos and the degree to which the development of cleaner vehicles can be encouraged in parallel ways. The EU’s current average caps on CO2 from cars are 130 grams a kilometer set for 2015 and 95 grams fixed for 2021. Last Wednesday, the European Parliament ignored industry warnings by voting for CO2 cuts of 20 percent in 2025 and 40 percent in 2030 compared with 2021, tightening a European Commission proposal for reductions of 15 percent and 30 percent, respectively. What’s more, the assembly inserted a quota for clean vehicles of 35 percent in 2030. The draft legislation needs the approval of EU governments and the EU Parliament. Any differences between both sides would have to be ironed out in negotiations. "This is the way forward," said Miriam Dalli, a Maltese Socialist who steered the draft law through the 751-seat Parliament. "More ambition will stimulate innovation and investments in the European Union." The spotlight now shifts to EU governments, whose environment ministers are due to take up the matter at a meeting on Tuesday in Luxembourg. Austria, current holder of the 28-nation EU’s rotating presidency, is offering scant relief to the sector by recommending a 35 percent CO2-reduction target for 2030. All this is a far cry from how the EU has come up with previous car-CO2 ceilings. In 2008, under strong pressure from Germany, EU governments and the bloc’s Parliament scaled back the planned first cap by stretching it out over four years until 2015 rather than endorsing a commission proposal to apply the limit fully in 2012. Six years later, still swayed by Berlin, EU lawmakers extended the lower ceiling proposed by the commission by an additional year to 2021. The auto industry has continued to press its case, saying a hasty switch to clean vehicles risks making cars too expensive for consumers and costing manufacturing jobs. "We remain particularly concerned about the extremely aggressive CO2-reduction targets and the imposition of sales quotas for battery electric vehicles that members of the European Parliament have backed," Erik Jonnaert, secretary general of the ACEA lobby group, said after the assembly’s Oct. 3 vote. "It would essentially force the industry into a dramatic transformation in record time." The appeals have fallen largely on deaf ears for two main reasons: the EU wants to send a strong signal about the need to fight climate change; and the political temptation to act tough on the car industry has grown amid public outrage over Volkswagen Group cheating on tests of discharges of another pollutant -- smog-causing nitrogen oxides -- and amid heightened voter sensitivity to urban air pollution. The EU Parliament, which is gearing up for elections in May 2019, is sounding an uncompromising note before expected negotiations with national governments on a final agreement. "I will defend my position to the very end,” said Dalli, the assembly's lead lawmaker. "I truly believe that, together, we can improve the commission proposal."